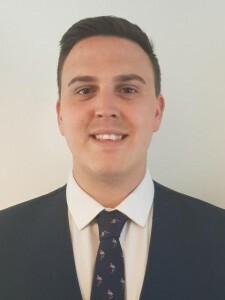 We are pleased to welcome John Wright AMDew, Cert CILA to the team, who joins as a Loss Adjuster based with our team operating in the South East. John’s career began with RSA as a Claims Handler dealing with household claims. From here, he has worked for a number of firms gaining a wide experience including a spell overseas dealing with Major Loss and Catastrophe Claims in Australia. “I spent a period managing a mixture of complex commercial, domestic and business interruption claims overseas whilst affected parts of Australia were being reinstated following hurricanes and flooding”. When back in the UK, John returned to GAB Robins where he had worked previously, before progressing his career as a Loss Adjuster further, with the introduction of Counter Fraud Investigating to his skillset. This is refined by his experience within his local Police Force as a Special Constable. Most recently, John has been recognised for his contribution to the insurance industry by becoming one of three finalists at the BII Young Achiever of the Year 2018 awards, and being the only finalist representing Loss Adjusting. Have a question for John or just want to welcome him onboard? Get in touch at john.wright@quadraclaims.co.uk.